Three days of top class racing, luxury dining and Champagne: it must be Newmarket. This year’s racing culminated in the July Cup on the Saturday – won by Harry Angel who was given a great ride by Adam Kirby, beating the favourite, Caravaggio. The Wine Tipster spent the festival presenting on Newmarket Course TV and ITV, as well as showcasing some wonderful wines in the Summer House Restaurant and at the daily Moët and Chandon Champagne paired lunches alongside a fabulous menu. The 2017 Festival marked the launch of this Champagne and Dining experience by The Jockey Club, which was a huge success. It was a great example of how well Champagne can be paired, with dishes such as the Fish Duo of Trout Mousse and Lemon Cured Salmon. It was great to see so many familiar faces in the Summer House this year, as well as amazing support for English Wines, especially Bolney Estate Foxhole Vineyard Pinot Gris, Nyetimber Classic Cuvée MV and Chapel Down English Rosé. 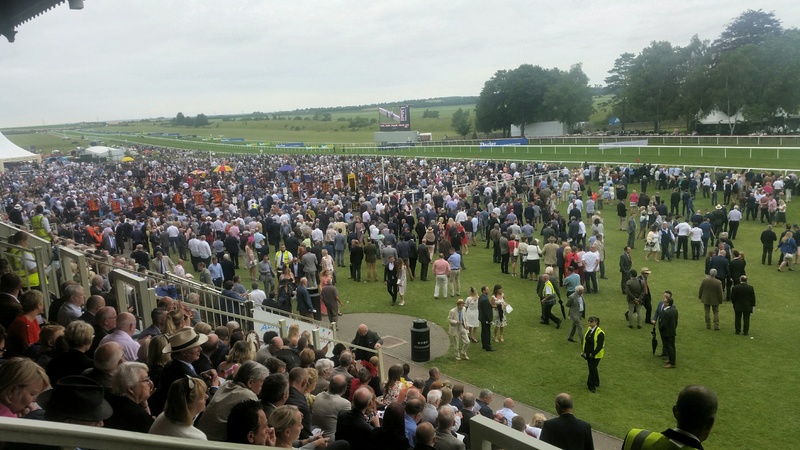 The Wine Tipster also did well on the tipping front this year, with Tangled at 8:1 on the Friday, and Medahim at 12:1 on the Saturday, both trained by Richard Hannon. Overall, the 2017 Moët and Chandon July festival was a massive success, with attendances up on last year. The Wine Tipster will be returning next year – don’t miss him!